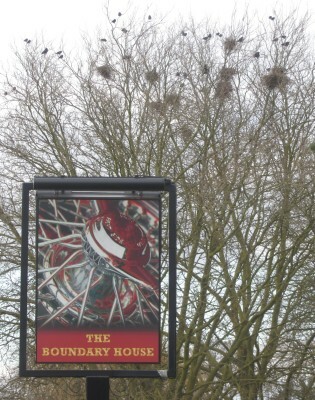 The Boundary House pub sign is a reminder that this very popular pub was once the house of Cecil Kimber – the Managing Director of MG Cars. Plans for a new sign with no picture – just writing – has been proposed by Greene King and then withdrawn. Behind the sign – high in the trees – can be seen a prominent rookery. A little further down Oxford Road – at number 40 – trees have just been cleared and are being offered as free firewood. 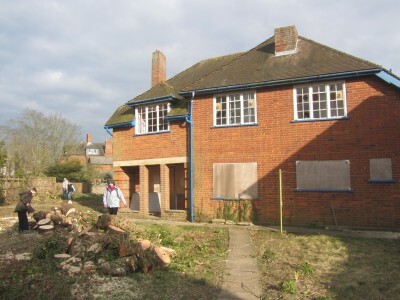 The house suffers from a severe lean and will soon be demolished and replaced with a four bedroom house – not the usual over development that has become commonplace. 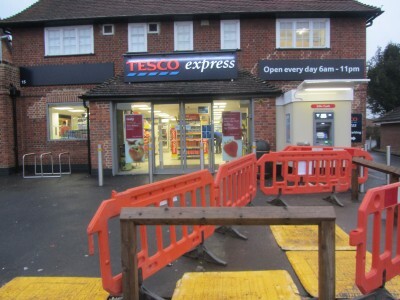 At the new Tesco Extra – where the Ox once stood – I see they have got a cashpoint installed. It was the one thing that got rejected when the original planning application went in to change from pub to shop. i remember before the tesco was built some people claimed it would turn the road into 24 hour gridlock. as someone who uses that road often i can report that… they were fibbing.